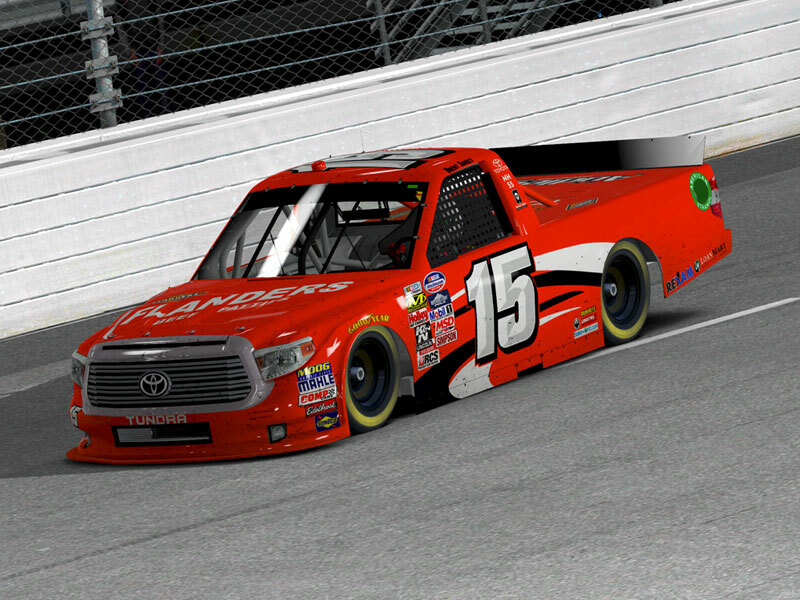 Trading Paints adds custom paint schemes to iRacing. 94,633 drivers are already racing with their own personalized cars. Create an account and install Trading Paints to begin. There are lots of ways to start using a custom paint in iRacing, whether you’re a painting Picasso or if you've never touched a virtual brush in your life. Skip complicated or expensive painting programs. Pick a base design, colors, logos, and add text to make your virtual car truly your own with Paint Builder. Check out the Trading Paints Showroom to race a paint scheme shared by fellow racers and painters with one click. 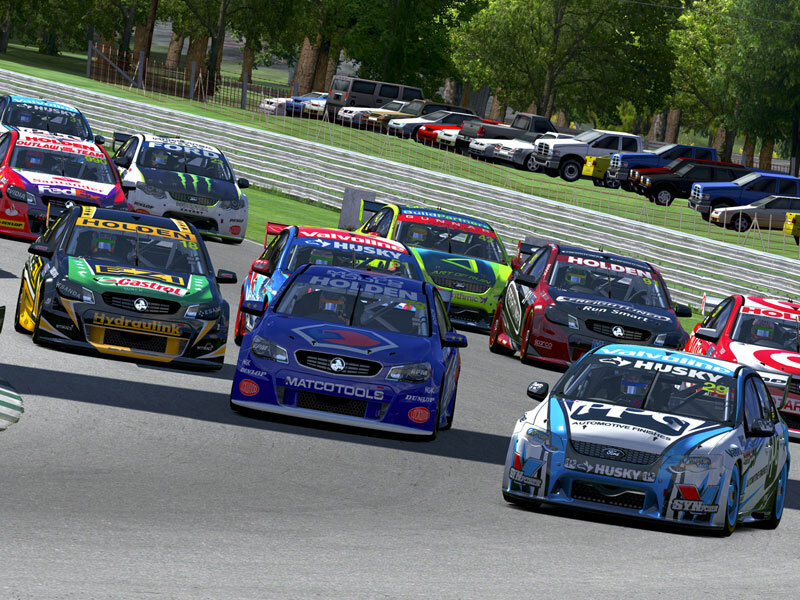 For more advanced users, use official iRacing painting templates and upload your own paints. Through decades of racing, drivers and teams have expressed themselves through personalized paint schemes, logos, and colors on their cars. 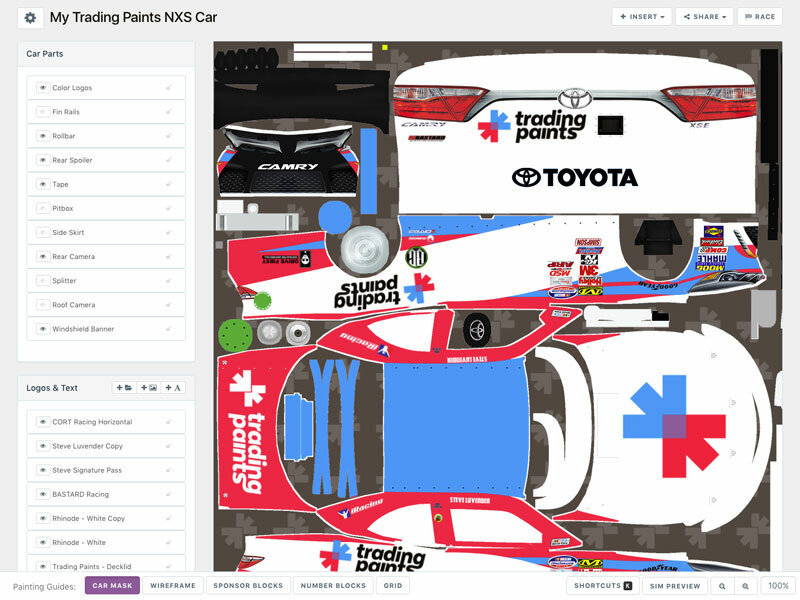 We think that tradition should carry through to sim racing, too — Trading Paints lets you customize nearly every aspect of your iRacing cars.